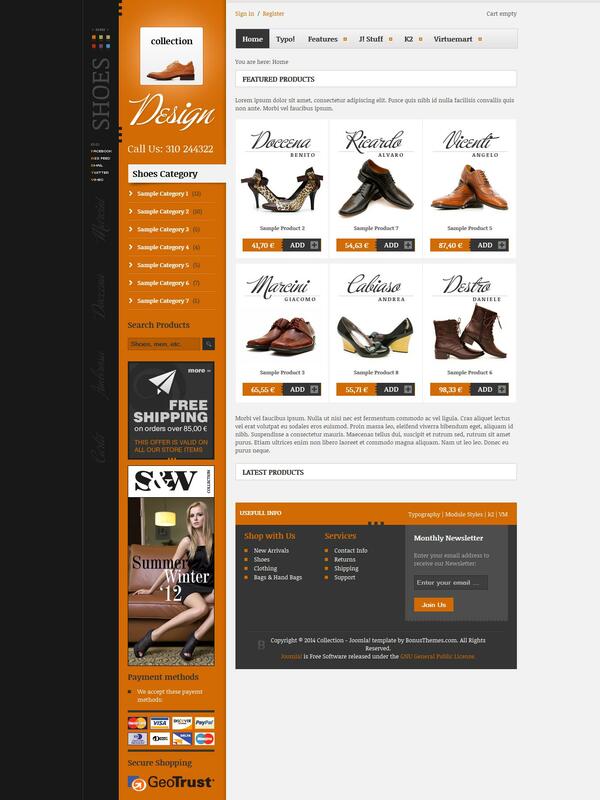 BT Collection - yet another stylish template online store for joomla manufacturers BonusThemes. Design template made ​​in dvuhkolonchatom embodiment and has six color options. Template also has a variety of flexible options and features that will help to better use. Built-in support for extensions K2 (manager materials management) and Virtuemart (component online store) will provide an opportunity to create a powerful Internet portal or online store selling any product.